CULVER CITY, CA--(Marketwired - March 30, 2017) - Prime Focus Technologies (PFT), the technology arm of Prime Focus, is showcasing its new DAX® Production Cloud software at NAB 2017. Based on DAX with Digital Dailies® and part of the company's flagship product CLEAR™ Media ERP, DAX Production Cloud vastly improves workflow efficiency by centralizing assets into a single repository which can be securely accessed by authorized stakeholders throughout the content lifecycle. DAX Production Cloud allows the use of same system for both Dailies and Post Production workflows. It enables editorial, creative agencies, VFX and localization vendors -- all stakeholders within the production supply chain to collaborate, service and distribute media, all on the same software. "The ability to handle high-res content through the same interface opens up doors to a whole new level of automation within the production supply chain," said Patrick Macdonald-King, President, Americas, Prime Focus Technologies. "It effectively bridges the gap between production, broadcast and studio operations, enabling instant access to high-res content, in DNX or Pro Res, directly from the set with the capability to create a multitude of formats for downstream promotional, marketing and publicity use cases from one system." With high-res content on the system, users can have seamless access to other CLEAR modules like Promo Operations that allow end-to-end business process orchestration for promo creation including automation of promo versioning using Adobe® Premiere® Pro CC. 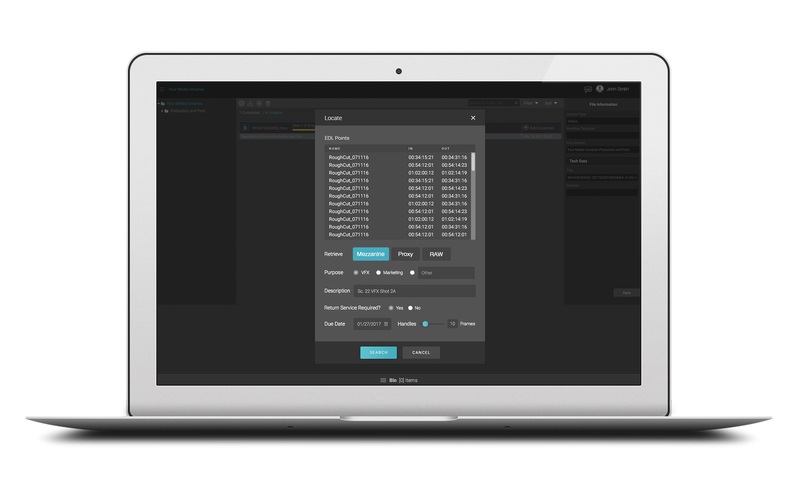 The promo operations module is aimed at solving the media logistics challenge and automating workflows to manage vendors involved in the process of 'versioning' promos from studios to broadcasters to digital organizations -- a perfect example of how CLEAR connects the entire supply chain through its ONE software approach. Experience the power of ONE. Get more from technology. Visit Prime Focus Technologies at booth SL 9605 at NAB 2017 to 'Be More'. PFT works with major M&E companies like Disney, Warner Bros., 21st Century Fox-owned Star TV, Cricket Australia, Miramax, CBS Television Studios, 20th Century Fox Television Studios, TERN International, FX Networks, Starz Media, Lionsgate, A+E Networks, HBO, Mnet, CNBC Africa, SABC, IFC Films, HOOQ, Sony Music, Viacom's Voot, Showtime, BCCI, Indian Premier League, Novi Digital - Hotstar, Hearst and The Associated Press.